The SULSIT social mission is to prepare highly qualified, socially responsible personally motivated and adaptive to the labour market specialists. The University has the strategic aim for sustainable development as a leading higher school with a significant scientific, technological and innovative potential. SULSIT has the ambition to continue the implementation of the so-called Third Mission of the universities вЂ“ to work on projects with national and regional significance. SULSIT has gained educational, scientific, technological and innovation capacity, able to get actively involved in the European Research and Innovation Area by implementing projects under Horizon 2020, Erasmus+ and TEMPUS Programmes, as well as in other international projects, and initiatives e.g. those financed by UNESCO and World bank funds. SULSIT has partnerships with many European research and educational centres and high technological companies especially in the field of Internet technologies, education technologies, etc. SULSIT is a member of the Balkan Universities Network. The Knowledge, Innovation and Strategies Management Club” (KISMC) is a Bulgarian NGO established in 2012 by experienced consultants and adults’ trainers united by the primary purpose to stimulate the transfer and use of contemporary methodologies and tools in the Bulgarian enterprises for better management efficiency and labour force skills. 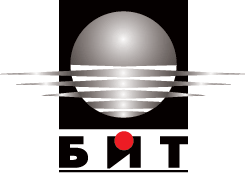 The main objective of the NGO is to promote the transfer and use of modern methods and tools for knowledge, innovation and strategies management in companies and organisations in Bulgaria in order to achieve higher efficiency of governance in the country and improve the competitive position of individual businesses and organisations. The University of Deusto was inaugurated in 1886. The concerns and cultural interest of the Basque Country in having their own university, as well as the interest of the Jesuits in establishing higher studies in some part of the Spanish State coincided in its conception. Bilbao, a seaport and commercial city which was undergoing considerable industrial growth during that era, was chosen as the ideal location. Bilbao is the centre of a metropolitan area with more than one million inhabitants, a city traditionally open to Europe. It is also an important harbour and a commercial and financial centre of the Basque Country and the north of Spain. In September of 1997, the city underwent a significant transformation under the emblematic symbol of the Bilbao Guggenheim Museum. The central headquarters of the University of Deusto is located on the opposite side of the estuary, facing the Guggenheim Museum. In 1916, the “Universidad Comercial de Deusto” received a group of students who would be the first graduates in Economic Sciences in Spain, 25 years before this degree was officially recognised. Approximately 1,300 students and 50 professors take part in mobility programmes. The faculties, institutes and schools are also involved in intensive programmes, European modules and joint curricular designs at various levels, as they participate in cross-border activities, integrated languages, ODL and Leonardo programmes. The entire University adopted the European credit system in 1994 and works to promote it and improve its quality. Deusto was the first European university to extend the European credits to all its faculties. Assessment of the created partnership model and generation of indicators for “successful” collaboration. Publishing a guide for business-academia collaboration which will serve as a best practice. Contact person: Antonia Bierwirth, Ph.D.
C/Velázquez, 64-66 – 2° Izda. TRAINING 2000 is a VET ( Vocational, Education and Training) organisation certified in the Marche Region – Italy, with experience in education and training in different sectors. At EU level, Training 2000 is involved in research and development of new methodologies in training (blended learning) applied to continuous training and adult education. TRAINING 2000 has extensive experience in training of trainers on innovative technologies, project management, entrepreneurship and simulated enterprises. established according to the Slovak Law by the National Council of the Slovak Republic and accredited by the Ministry of Education of the Slovak Republic. Over its more than a 55-year-long existence, the university has undergone a number of important changes from a Pedagogical Institute, Teacher Training College and University of Education into Constantine the Philosopher University in Nitra. Nowadays, Constantine the Philosopher University in Nitra is the fourth largest public university in Slovakia formed as a modern European general university providing only accredited study programmes in a full-time or part-time form on Bachelor, Master and Doctoral (PhD) level. There were 9 227 students together in full-time and part-time study of which 7 143 in full-time study, from this total number 178 are foreign degree students in 2015. In response to the current national, international and European development the university has increased the number of offered study programmes and gradually extends the list of study programmes and single courses offered in foreign languages. University has introduced ECTS system which enables students to combine subjects from different faculties, actively participate in the content of their curricula and transfer credits between institutions. The uniqueness of UKF in education is represented by teacher training programmes in Hungarian and the training of teachers, social workers, public education for Roma ethnicity and lifelong learning courses, as well. At present, UKF has 51 Bilateral Agreements of Academic Cooperation with partners within and outside EU and 341 Erasmus+ bilateral agreements. University is also active in the field of science and research, UKF was involved in 68 research projects in 2015.
International cooperation in education and science of Constantine the Philosopher University in Nitra has been developed through international projects and programmes such as former TEMPUS, ERASMUS MUNDUS and LLP projects, ongoing CEEPUS programme, IVF projects, ERASMUS+ programme, EEA Scholarship Programme of Slovakia, former 6th & 7th Framework Programme (currently under the new programe HORIZON 2020), projects of Structural Funds, bilateral and intergovernmental agreements and through the cooperation with British Council, Goethe Institute, French Institute, Fulbright Commission, DAAD through which UKF receives guest teachers from abroad. Besides projects, UKF organizes during the year various scientific, artistic and professional events and student research, professional and artistic activities to support the presentation, promotion and transfer of knowledge, research results and creative activities as well as regular cultural and sport events for its students and staff. Students can choose from wide range of optional subjects to supplement and extend the study on the five falculties. Faculty of Natural Sciences provides a unique opportunity to those students who want to deepen their knowledge of mathematics, physics, computer science, those that are fascinated by the world of chemical laboratories, geography, biology, gemology, ecology and environmental science, or interested in becoming a science teacher or scientist. In cooperation with other UKF faculties, Faculty of Natural Sciences provides the widest range of teacher-training study programmes in the mentioned fields in combination with philological, art, technical and social subjects or humanities. The activities of the Faculty of Social Sciences are aimed at the education of psychologists, nurses, social workers and missionary workers in the Roma community and health care specialists including professionals in medical rescue work and physiotherapy. Faculty of Central European Studies is oriented on education of national minorities, teacher training for school with Hungarian language of instruction, tourism, cultural and social anthropology, Hungarian studies and translation studies. Faculty of Arts provides education focused on humanities, social sciences and philological sciences (within Slavic and modern EU languages). Further, it prepares experts in the specific fields of science, culture, media, art, history, public administration and highly qualified specialists for translation and interpretation. It also provides teacher training education for the second level of primary schools and for high schools. Faculty of Education prepares teachers for pre-school level, primary and secondary schools. Study offer of the Faculty of Education was designed the way to ensure the most effective education for the professionals in the sphere of teaching (technical, art or physical education, pedagogy and teaching of languages), counselling, health protection and technological services.